Alexia (real name Alessia Aquilani) was born in La Spezia (Italy) under the sign of Taurus, (to which she can probably attribute her great drive for success!). As a small child she began singing in various spots around her hometown. Her family, noticing her singing and dancing talents at such an early age, decided to point her in the direction of a musical career. It was during this time that Alexia entered and won more than fifty competitions, achieving the title of "Little wonder". At the age of seven, she began studying piano and voice at school. At the age of twelve, she began studying dance and carried on doing shows, becoming familiar with the stage and live crowds. On leaving school she sang with some professional groups, performing in numerous discos. In 1990 she joined the DWA Team, first as a studio vocalist, singing on the hit song "Please don't go" by Double You. In 1993 Alexia had her first big breakthrough. Roberto Zanetti, (Aka Robyx) manager of DWA and producer of a string of hits, asked Alexia to take part in the "ICE MC" project, a musical project with a rapper and Alexia as singer. All of Europe was dancing and singing to the songs "Take away the colour", "Think about the way" and "It's a rainy day" and everybody became familiar with Alexia's beautiful clear voice. For the next two years Alexia found herself touring with ICE MC, taking part in TV shows and performing in more than three hundred concerts worldwide. The song "Think about the way" was even used as part of the soundtrack for the cult film "Trainspotting". Critics, the mass media and fans all agreed that ICE MC'S fame was due for the most part to Alexia's strong voice. Consequently Robyx chose to abandon the Ice MC project and concentrate on Alexia's solo career. Robyx decided to compose a song especially for her. "Me and you" was her first single and was released in August 1995. Within just days of its release, its presence was felt across Europe, reaching no.1 in Italy and in Spain. As a follow-up to "Me and you", the new single, "Summer is crazy", came out in May 1996. The song reached the top of the charts and became the signature tune for "Festivalbar", the most popular Italian summer music festival. It was no.1 in Italy, Spain and Finland, top 20 in France, top 40 in the rest of Europe and was one of the biggest summer successes of 1996. As summer drew to a close it was time to create a new song fit for Alexia's incredible voice. 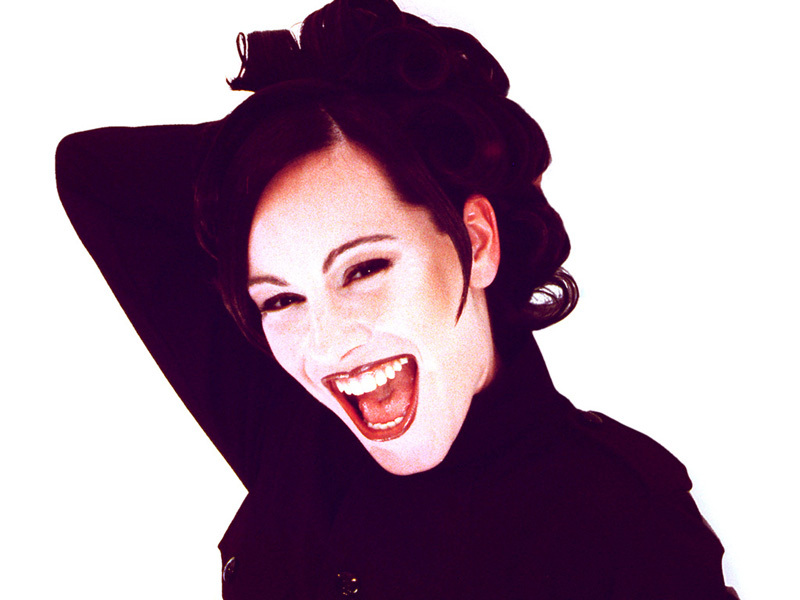 In November 1996 Alexia released her third single, “Number One”. It proved to be a smash hit, going to no.1 in Italy and many other countries. In January 1997 recording of her first album began. It was released in May 1997 together with a new single, "Uh la la la", for the imminent summer season. "Uh la la la" was the most played and danced song of that summer! It reached no.1 in Italy, Spain and Finland and made top ten throughout the rest of Europe. The album sold more than six hundred thousand copies and was awarded many gold and platinum discs. A video was shot in Miami (USA) and once more Alexia took part in "Festivalbar". Thanks to careful promotion, Alexia’s popularity grew across Europe. She was hot property and many record companies were interested in her, but Alexia continued working with her producer Robyx, who wisely decided that it was time to make the big jump. During Midem '98 (an international music fair), Robyx and Alexia signed a worldwide contract for all future projects with Sony Music. In March 1998 a new single, “Gimme love”, was released in Italy and Alexia’s unrelenting success continued. Around the same time in England, a remixed version of "Uh la la la" was released. It was Alexia's first ever single to be released in England and was a huge success, going straight into the top ten! The video was played continuously on MTV, and Alexia took part in all the major TV shows, including "Top of the pops". Having achieved such great success in England has put Alexia amongst the most important pop stars on an international level. After going straight in at no. 2 in the Italian charts, "Gimme love" managed to reach the no. 1 spot and stayed there for a staggering 5 weeks! Even when it was knocked off the top spot it still held on in the top ten for a further four weeks. It also reached no.1 in Spain and no.4 in Finland. Alexia again took part in "Festivalbar 1998", where she was the first artist to perform. Alexia sang on practically every stage show of "Festivalbar" and started off the series by singing the hit single "Gimme love" followed by the new single "The music I like" (used as part of the theme tune). Both tracks were taken from the successful second album "The party" released in Italy in May 1998. However the worldwide release of the album and the single "Gimme love" was scheduled for the end of June 1998. This album sold over five hundred thousand copies worldwide and to date has been awarded several platinum discs, even though it hasn't been released everywhere (especially in the largest territories). "Gimme love" and "The music I like" both having been no.1, were almost simultaneous hits, selling a total of over one hundred thousand copies, creating a record in the Italian market. 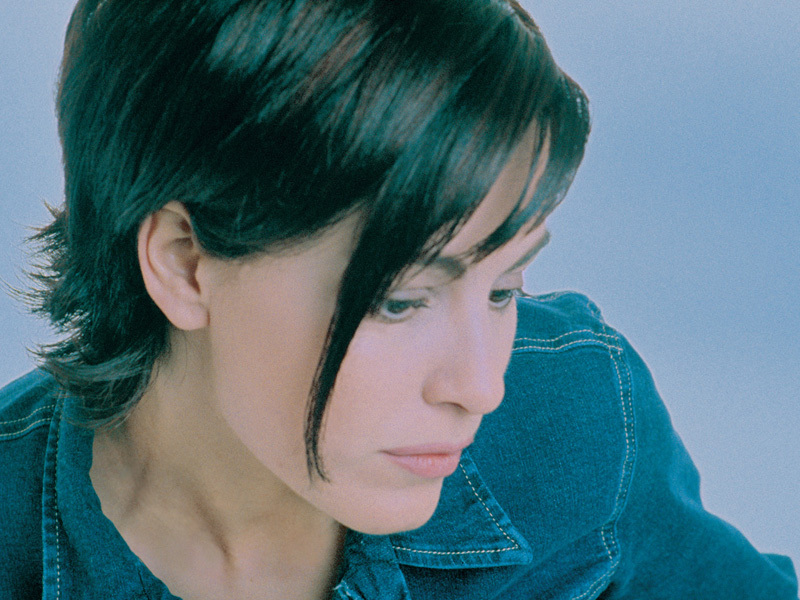 During the summer of 1998 Alexia dominated the music scene and occupied the charts more than any other Italian dance artist. Alexia had previously caused a stir in the American market and was approached by many majors with a keen interest in the star, all hoping to "grab" the promising artist. A contract was finally signed with the EPIC/SONY label. There was also great attention shown from the English market with the single "Gimme love", going straight in at no. 1 in the "Pop chart" of "Music week". 1998 was an extremely busy year for Alexia and she was in demand everywhere. Most of her time was spent on world tours, promoting her work, doing interviews for radio and magazines or performing on TV shows. In October 1998 her last single of the year was released, entitled "Keep on movin". 1999 was just as important, if not more so for Alexia, mainly because the album "The party" was released in the two most important world markets - USA and JAPAN (summer 1999). In addition, at the beginning of the year, Alexia was in the studio putting together a new album with excellent results. For the first time it was felt that each track on the album could be used as a possible single. The first single to be chosen was the song entitled "Goodbye". The sound has a very seventy, eighties feel to it with a catchy chorus and an intense melody. The excellent musical arrangements were provided thanks to Marco Canepa, a famous Italian musician whom Robyx involved in the project. The single was released at the beginning of July, together with a music video. Alexia once again performed at "Festivalbar" and on the most important international TV shows. The new album, named "Happy", was released at the end of August. This album was a surprise to all of those lucky enough to hear it, each of the twelve songs are touched by so many different styles of music, from dance to R&B, from pop to sweet ballads. 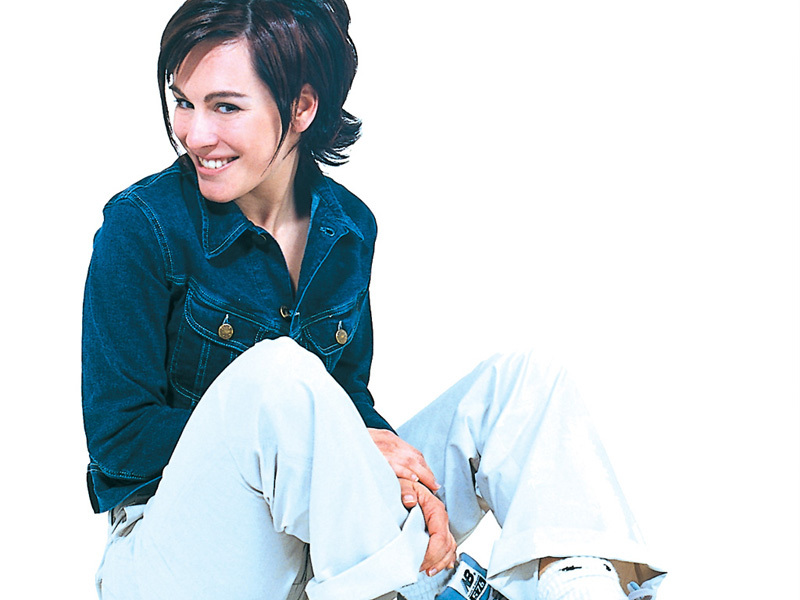 "Goodbye" was one of the most played and danced songs in the summer of '99, especially September when Alexia took part in numerous TV shows. 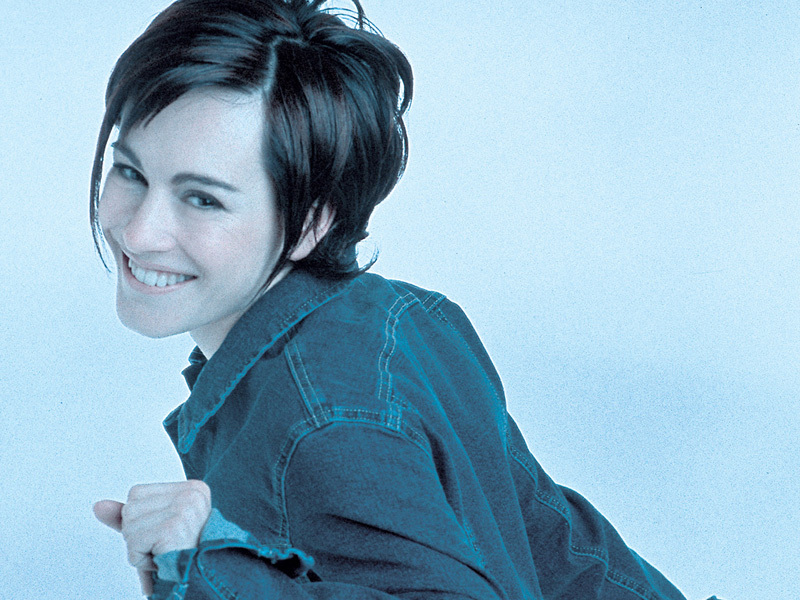 In Europe the official release of "Goodbye" was set for November '99, but the promotion started at the beginning of October when the track stormed straight into the no.1 spot in the pop chart of "Music week", the most hyped music magazine in the UK. Many important Italian TV programmes like "Caramba", "Super", "Solletico" and "7 per uno" wanted Alexia to be on their show and even the daily news was talking about her. At the end of October, the album "Happy" achieved a gold disc in Italy and a second single of the same name was released. This new track was bright and carefree with a sixties sound. Along the same theme a video was devised showing Alexia going back in time to the sixties and falling in love with a boy she meets there. In Italy, "Happy" was a huge success, becoming the signature tune of an advert for a prominent telephone company, that then went on to select another of Alexia's song ("Goodbye") for another famous commercial. At the beginning of 2000, Roberto Zanetti was locked away in his recording studio creating his latest summer success for Alexia, the new song "Ti amo ti amo" was entirely a Robyx production, composed specifically for Alexia's voice and is a happy and romantic song. After several years spent on Alexia's project, Roberto Zanetti decided to release a "Greatest hits" album, collecting Alexia’s most famous successes, a sort of celebration of a rising career. 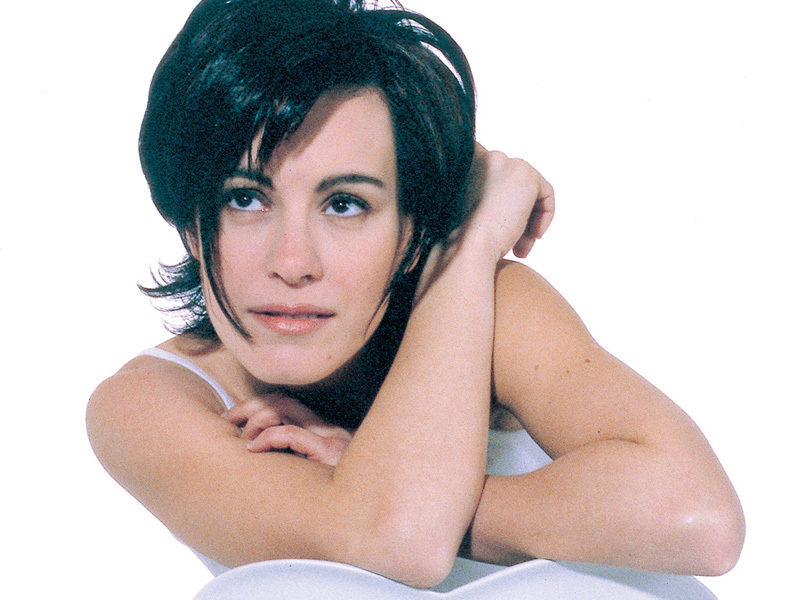 In the summer of 2000, the album "The hits" was released, including the new single "Ti amo ti amo", together with many of Alexia’s past hits. After this latest hit (and gold discs for the album) Alexia decided to split with her producer Robyx and DWA and signed a new deal directly with Sony. Unsurprisingly Robyx and DWA have been forced to initiate legal proceedings for this breach of contract.